We encourage tours! If you’d like to bring your pet along, please call ahead (608) 882-6197 to arrange a convenient time to tour; all vaccinations must be current at that time. To make a reservation, please visit the reservations page. We are located at 5641 N Old 92 in Evansville, Wisconsin. See sidebar for map. 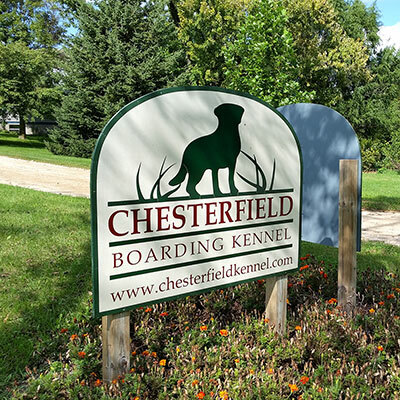 If you have any questions, please email sue@chesterfieldkennel.com. Our morning hours are designed to allow us time to care for the pets already in our facility before we open for business. We appreciate your consideration of this when scheduling your visit with us.